A range of contemporary, classic, and obscure tracks in Mind Games' latest playlist. In the ring, Australian standout Jonah Rock is a monster, plain and simple. 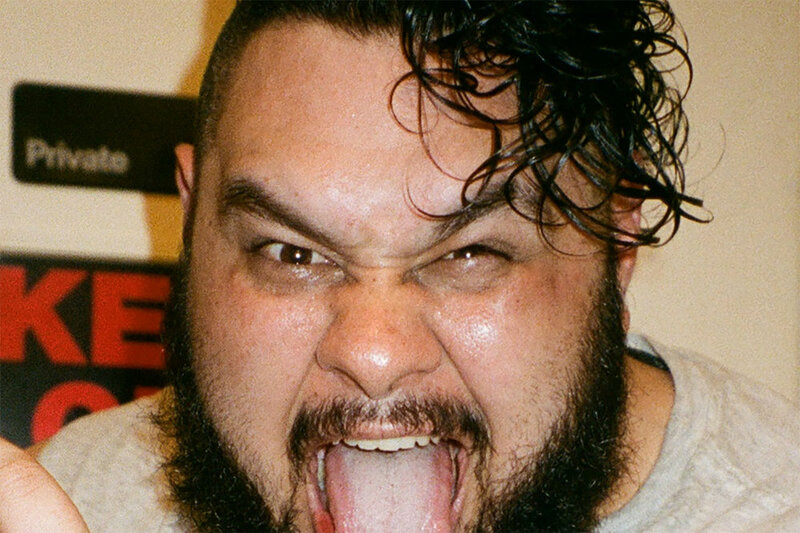 Rock has wrestled for over ten years, primarily in his home country, as well as a stint in Japan's Pro Wrestling NOAH as a part of the stable The Mighty Don't Kneel. Behind the beastly facade, however, there is a unapparent complexity to his aggressive tendencies, unknown to onlookers. "Just picture me angry in the weight room with my headphones on my head. Little do people know, New Edition is bumpin' through those speakers on my ears," Rock tells Mind Games in a discussion about his curated playlist, the latest in our ongoing music series. "I've had a passion for music for as long as I've had a passion for pro wrestling, which is as far back as I can remember," he continues. "As a kid, I grew up listening to icons like Prince and Michael Jackson, then my teenage years were moulded by hip hop. I do, however, love all genres of music, but I think R&B and hip hop resonate with me the most." Rock has also taken this opportunity to introduce listeners to a handful of lesser known artists. "I like to think there are some tracks on there that may be [lesser known] to a non-Australian audience, like Pegz, Scribe, and Adelaide's own Delta. There are also some amazing new R&B artists on there that are changing the sound and making it more alternative, like Sampha, dvsn, and Sonder," he says. The tone of the tracks by these artists may not initially appear to be in line with fans' impressions of Rock, but given his recent introduction to a much wider audience as an entrant in PWG's 2017 Battle of Los Angeles, his interest in up-and-coming artists while giving a mod to the legends actually parallels his own career trajectory in a perfect harmony.